Many commercial companies grow almonds (Prunus dulcis) throughout the world, with 1 acre producing upward of 900 pounds of product. While we think of almonds as a nut, the seed is actually a drupe consisting of the edible internal seed covered by a shell and hull. Almond trees originate in the Middle East from where they spread to other areas of the world, including California. Like so many other beautiful natural features in the world, almond trees became associated with different symbols depending on the culture and era. Archaeologists find wild almonds in dig sites that date to 8000 B.C., particularly in the region of Greece. Throughout the Mediterranean people began cultivating the tree around 3000 B.C. Throughout the trade route between the Greeks, Romans, and Egyptians, caravans carried almonds along with stories, myths, and legends of the tree. In the 1700s, almonds arrived in California with Spanish missionaries where the trees thrived. 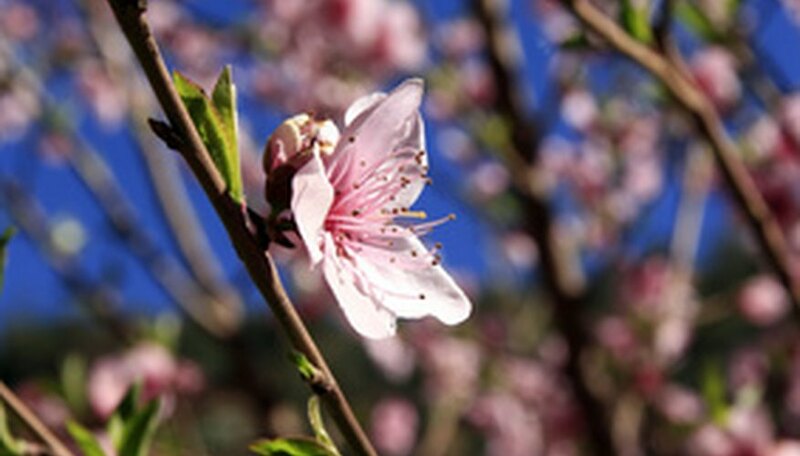 By early in 2000, California had 500,000 acres of land dedicated to growing almond trees. Greek mythology tells us of the Queen of Thrace, Phyllis, who believed her lover would never return from war, having found another romantic interest. In despair, she commits suicide. Seeing her sacrifice, the Gods turn Phyllis into an almond tree. When her waylaid lover returns, he embraces the tree, it blossoms beautifully, and becomes a symbol for constancy in love and eternal hope. Greeks additionally used almonds for interpreting a dream. If you see sweet almonds in your night visions, it means upcoming travel filled with prosperity. Finally, honeyed-almonds feature heavily in Greek wedding traditions, representing the hope that married life brings more joy than sorrow. Five almonds bundled together and presented to a couple act as a wish for long life, happiness, prosperity, well-being and fertility. Almond trees appear in the Bible. 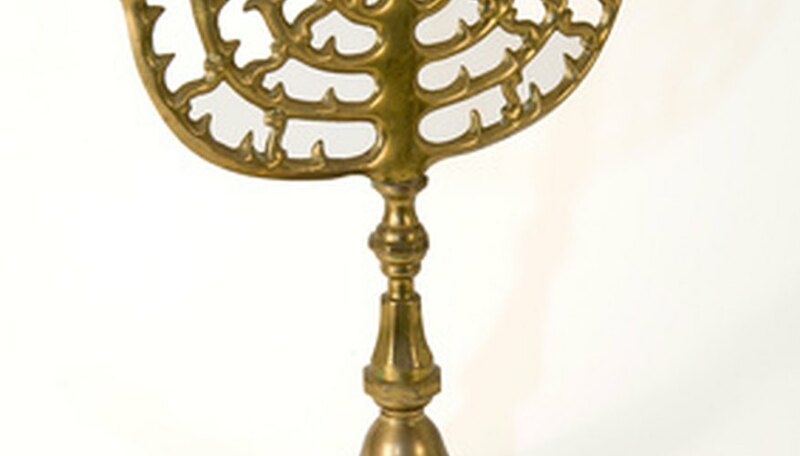 In Exodus 25:31, God tells Moses how to make a Menorah with almond-shaped bowls for the lamp oil. This design insures that light shines forward, guiding people to safety. In this construct the almond ties to the Nation of Israel as a light to the world, and setting positive examples. Ecclesiastes 12:5 talks of almond blossoms using it as an analogy of age, and how quickly time passes. The white petals of the almond tree, just before they fall, represent graying hair. Finally in Numbers 17, Aaron's rod made from almond wood blossomed in his hands. This indicated that Aaron would enter the priesthood. This gave blossoming almonds the additional symbolism of honor and blessings. Wrestlers combine and consume almonds with milk and honey because they believe this "seed" improves masculinity. Interestingly enough, astrology characterizes almonds as masculine in nature. The writings of Virgil characterized almond trees as predicting vibrant harvests and a positive omen. Christian artists use almond branches to represent Jesus' virgin birth. Additionally many images of Mary depict her in an almond aura of light. 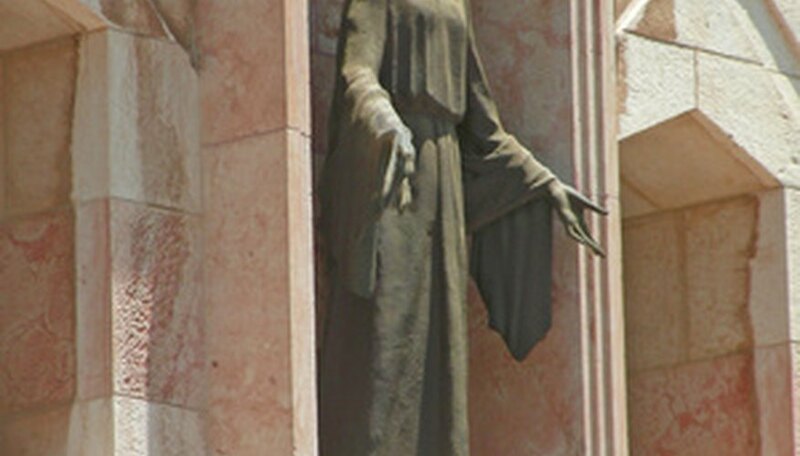 The almond shape remains a symbol for Mary and holiness. In China, people eat almond-shaped cookies on New Years for luck. Here they also represent feminine loveliness. Pagans carried almonds as fertility charms, ancient Persians saw them as aphrodisiacs, and Swedes traditionally put one almond in Christmas pudding. Whoever receives the almond gains good fortune in the coming year. "An Illustrated Encyclopedia of Traditional Symbols"; J.C. Cooper; 1978. "Nectar and Ambrosia"; Tamra Andrews; 2000.